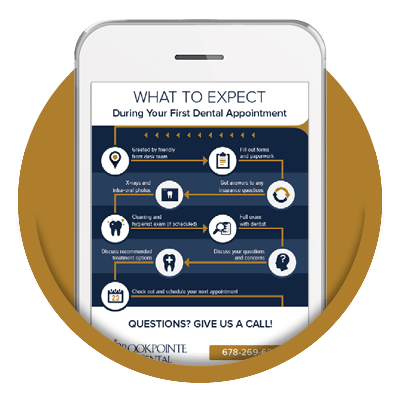 Looking For the Best Dentist in Kennesaw, GA? He's Right Here! The best dentist in Kennesaw, GA for you? Does Dr. Eric Duncan deserve that title? What kind of education and training would you expect from a dentist labeled as among “the best”? Wouldn’t you want him to have gone beyond just the basics of dentistry? A “best dentist” would receive training with some of the most prestigious dental schools in the country. Dr. Duncan has done just that! 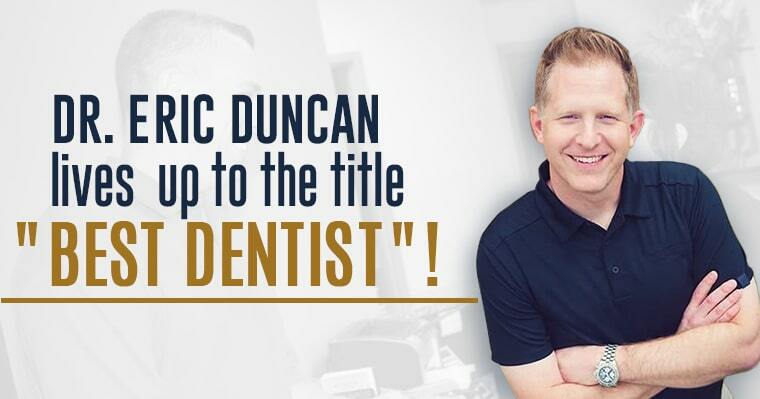 It takes the best to make the best when it comes to dentistry, and Dr. Duncan has learned from the best doctors! The next thing a “best dentist” should have is an excellent chairside manner. Going to the dentist can be a nerve-racking experience. Having a dentist who is friendly, approachable, and even funny can break up the tension and make your dental visit an actual pleasure. Dr. Duncan does all that, and more! Don’t take our word for it. Read some of the 5-star Google reviews our patients have given us, describing their treatment with our Kennesaw dentist. Dr. Duncan also makes sure his patients get the best dental technology available to make their visits fast, easy, and pain-free. We use highly precise digital x-rays for more effective diagnosis and to lessen your exposure to radiation. We offer same-day dentistry solutions, such as CEREC. Neuromuscular dentistry for TMJ disorder allows us to treat you without the need for surgery. We provide complete solutions for missing teeth, such as dental implants. Dr. Eric Duncan has used the experience of more than a decade of hands-on dentistry to develop a method, which combines art, science, and technology with personalized care. You get to reap all of the benefits! Having all that training, technology, and experience wouldn’t mean anything if the results were disappointing. A “best dentist” should be able to provide “wow” results – especially when it comes to cosmetic dentistry. Cosmetic dentistry focuses on the aesthetics of your smile. As a cosmetic dentist in Kennesaw, GA, Dr. Duncan delivers the goods! Teeth whitening – Laser whitening that can brighten your smile eight shades in about an hour. Porcelain veneers – Can instantly makeover teeth that are damaged or crooked. Gum contouring – Provides a perfectly balanced gumline to showcase your smile. Just check out the impressive results he achieved for Debbie in this before and after. She is thrilled with her beautiful, new smile! 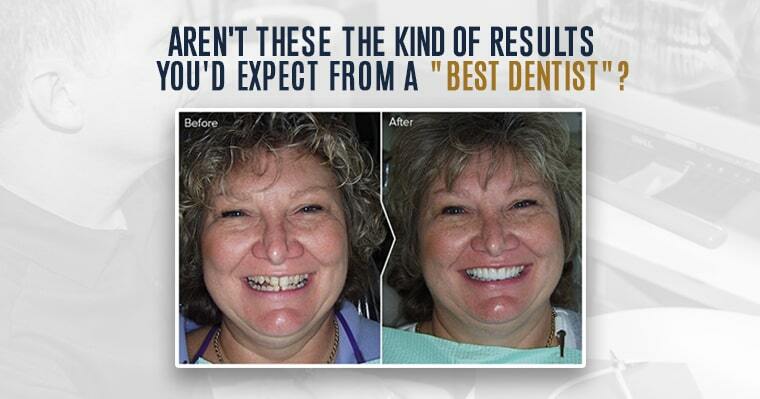 There are more examples of Dr. Duncan’s superlative handiwork in our smile gallery. We think you’ll agree with us that when it comes to the kind of results you’d expect from a “best dentist’, Dr. Duncan’s work stacks up! 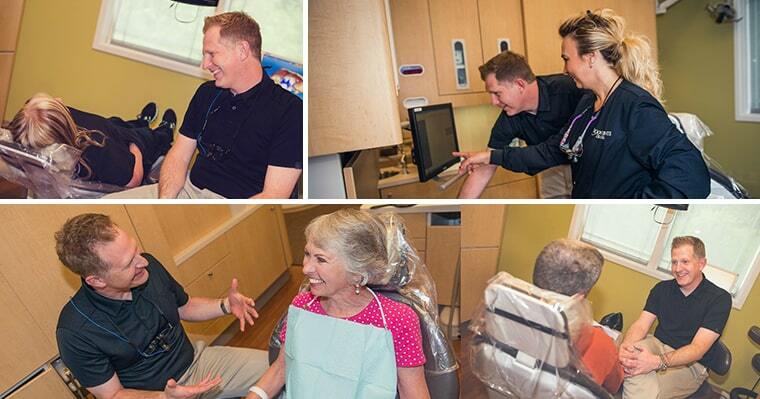 Does Dr. Duncan live up to the title of a “best dentist in Kennesaw, GA”? Does Dr. Duncan live up to all the hype? Is he really a “best dentist” for the residents of Kennesaw, GA and surrounding communities like Marietta, Acworth, Woodstock, Fair Oaks, Northeast Cobb, Emerson, Cartersville, Dallas, and Powder Springs? We can unequivocally say “yes”, he is! Would you like to find out first-hand what treatment from a best dentist is like? Don’t you think you deserve the best? We do!